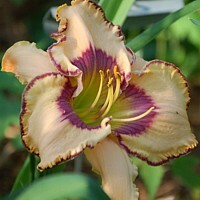 Breeding goal: A blue-eyed, ruffled daylily that resists northern winters, for further hybridazation if satisfactory. 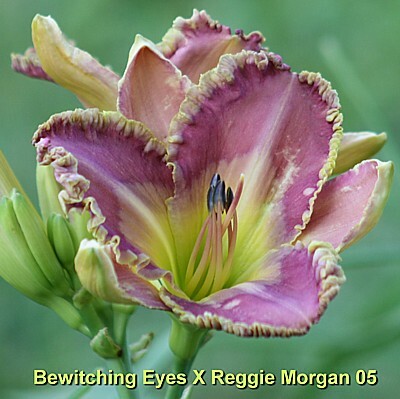 Expectations: These flowers are similar to each other, I expect eyed flowers. 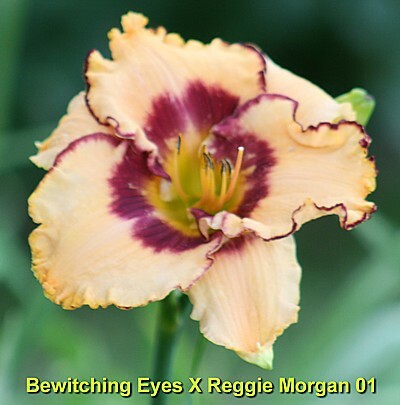 'Reggie Morgan' is an unusally ornate and round eyed flower. 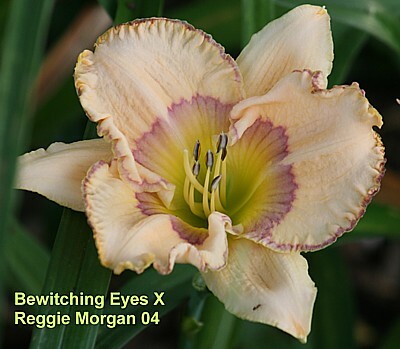 The seedlings from this cross are noticeably faster growers and huskier than all others I'm starting this year. Big difference. Notes: July 4. FFO. 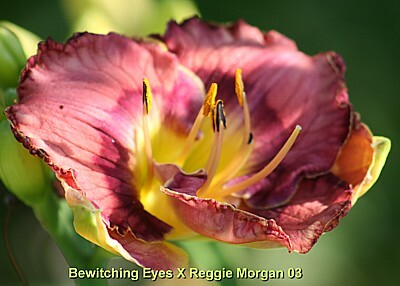 Not a hint of 'Reggie Morgan' in this one, but a large beautiful flower on a tall scape. Notes: July 8. FFO. Rather small. Notes: July 8. FFO. 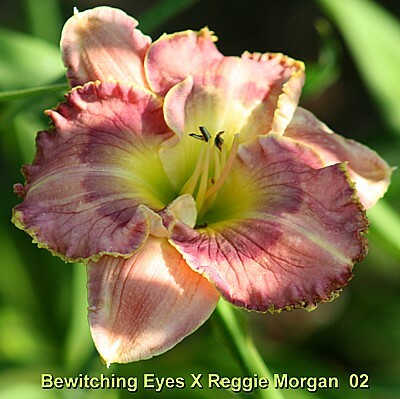 Smaller than seedling #02, nice shape, but no eyezone patterning. 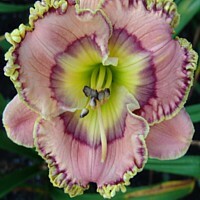 Opened wide later during the day. Notes: July 11. FFO. This one may need more time. Notes: July 14. FFO. I'm ready to call this whole cross a dud.